Put some meat in your marketing messages. Brand strategy for small to mid-sized companies from the Brand Insight Blog. Put some meat in your marketing messages. >> Put some meat in your marketing messages. Every year, millions of dollars are wasted on advertising that is glizty and well-produced, but not very well thought-out. Kind of like a supermodel… nice to look at, but there’s just no substance there. A few years ago I was talking with a restauranteur about this very subject. He had retained an ad agency to help promote his launch. They produced a website, some digital ads, a radio advertising campaign, some social media posts and a slogan without having a single, meaningful conversation with him about his business. If they had, they would have realized that this particular business owner didn’t understand his own brand. He and I did more quality thinking over coffee than he had ever done with his ad agency. After our conversation he was convinced he needed to start all over. It was an expensive lesson, and an all-too-common false start with his ad agency. That’s the difference between a strategic branding company and most small ad agencies. Branding starts earlier — further “upstream” — and goes deeper. It touches all facets of the business, not just the outbound advertising messages. It’s about the meat of the business, not just show business. That particular business owner was not unique. A recent article in the Harvard Business Review shows that the majority of VP and C-level execs don’t know their company’s strategy. Or at least they can’t verbalize it without launching into long-winded corporate mumbo-jumbo. If you’re old enough, I’m sure you can still hear that quirky voice in your head. The chain used that line for almost 20 years, and then went back to it in 2012. The tagline actually outlived the promotion… they’re not offering the two-fer deal any more, but the line still works. According to Ad Age, “They’ve been able to grow the brand with a price point that was affordable option for most Americans… They really stand for value more than any other brand. 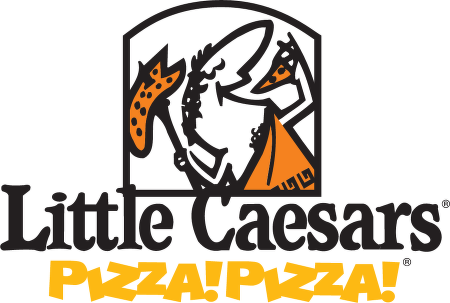 A recent Sandelman & Associates survey rated Little Caesars the best value for the money. That’s their story, and they’re sticking with it. The benefits of a clearly defined and well-written marketing strategy are clear: You won’t run pretty ads in the wrong publications. You won’t change directions every year, just to be fashionable. And you won’t have digital advertising effort that doesn’t jive with the rest of your branding. Bottom line… you’ll be more focused and efficient in everything you do. But how do you get there? In most small ad agencies strategy is not a deliverable. Account executives do it by the seat of the pants based on information provided by the client, and on gut instinct. Then they’ll just jump right into the sexiest part of the project… the creative execution. That fits with the prevailing perception: Most business people think of strategic planning as a left-brained activity, but ad agencies are enclaves of right-brained, creative thinking. Therefore, you can’t possibly get a brand strategy from them. Traditional thinking also says you need a consulting firm for strategy. What’s more helpful is a sensible combination of both services from one team: Strategic insight and disciplined execution. A left-brain, right-brain, one-two punch. That’s how my firm approaches it… insight first, THEN execution. No amount of creative wizardry will save a marketing campaign that lacks a strong, well-defined sales premise. That’s why we put so much emphasis on message development and front-end strategic issues. Setting aside time for some productive strategic thinking is the most valuable thing you can do for your business. And it’s not about spreadsheets, it’s about story telling. Chances are, you’ll need help. You’re too close to the situation. Too consumed by the quarterly numbers. Or just too darn busy. So find someone you trust. Block out a day, get out of your office, and think it through with your most trusted advisors. Look at everything you’re doing, and ask yourself this: what is this company really all about? What’s the message of substance behind your marketing? Is your brand all beauty and no brains? BTW… That restaurant I referred to in the beginning of this post has since gone out of business. Need help pinpointing your brand story? Shoot me an email or a LinkedIn Message. John Furgurson. 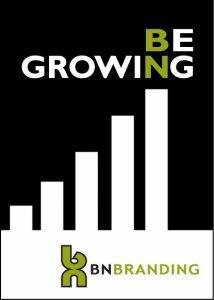 Johnf@bnbranding.com. Want more info on brand strategy and strategic message development? Try this post. Strategy is only executable if you know the brand. We spend to much time in the creative world and don’t realize that what is truly important is selling widgets for the client. I like the layout here. Btw, my blog is dofollow, stop by and grab a link. Bobby. Good article John. I’ve read your work before – we’re on the same page. In my experience creatives don’t sell when they design. Most I would say (my opinion) have never read a book on marketing. They design to win awards. To be clever. This is their first motivation. Ad agencies like the one mentioned early in your article play to the company’s ego. Many small businesses are asleep at the switch when it comes to brand positioning and the power of differentiating themselves, while nodding in agreement, many times they blindly go to market with that fancy slogan and award winning creative. But when nothing changes and sales remain flat – they can only watch from the sidelines as their competition (who get it) lead them. These are the companies who are happy with mediocrity and are comfortable with being a follower. It takes a ‘genuine’ entrepreneur to recognize the opportunities of brand positioning and the balls to step out and lead. Found your blog via the triiibe. Great insights that keenly highlight some of the angst at our B2B startup. Practical stuff to chew on.